Just when you thought we had enough spectrum re-imaginings another one comes along, the Spectrum Next. 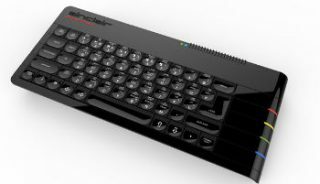 This is no emulation mind, the Spectrum Next has its own integrated circuitry and is a clone (on steroids) of the original Speccy. 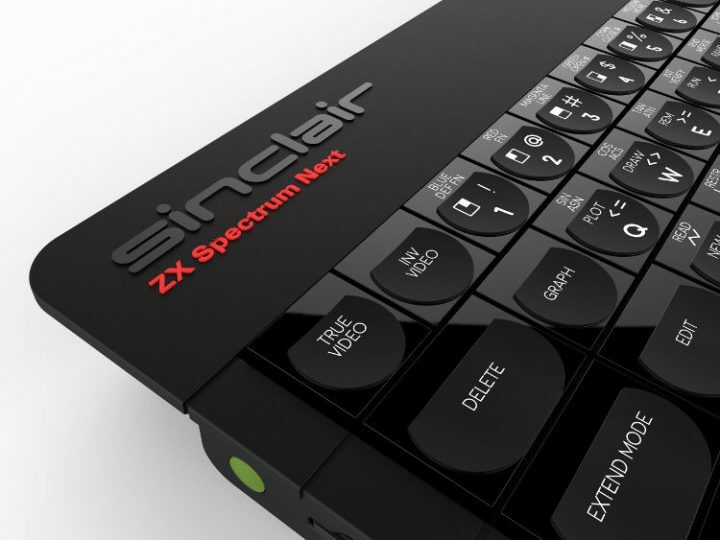 It all comes wrapped up in a good-looking case that has more than a passing resemblance to the original Spectrum 128, this is hardly surprising since it was designed by Rick Dickinson designer of the original Spectrum body work. It has an improved specification including a massive 512K of RAM and 260 colours (including our personal favourite cyan). All this is good news for the home-brew community who will be able create new software beyond what was possible back in the day. To play original Spectrum games you can download them off the web or store them on a standard SD card that you can whack straight into the Next’s in-built SD card slot. You could also transfer them over your home network as this little beauty comes with built in WiFi. 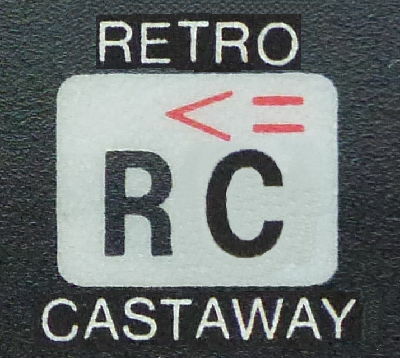 Alternatively, and this is where it gets really exciting, if you want to ramp the retro dial up to full 80s overdrive then you’ll be very pleased to hear that the ear and mic ports are back so you can load your old tapes and create new ones. To add to all this good news it also includes HDMI out so you can once again hog the family telly refusing any requests to switch off because you’re on the verge of a new high score. Just don’t tell them you could save your progress at any time using the built in Multiface functionality. If all that is still not enough for you it will apparently also be able to run ZX81 software. Happy days. They reckon they’ll deliver all this for under a ton and the project will be crowdfunded. Get yourselves over to www.specnext.com and sign up for the newsletter and be the first to see what interesting crowdfunding packages they offer.